To bring people to a place of rest, abundance and peace in their spirit, soul and body, experiencing a fulfilled life through Jesus Christ. 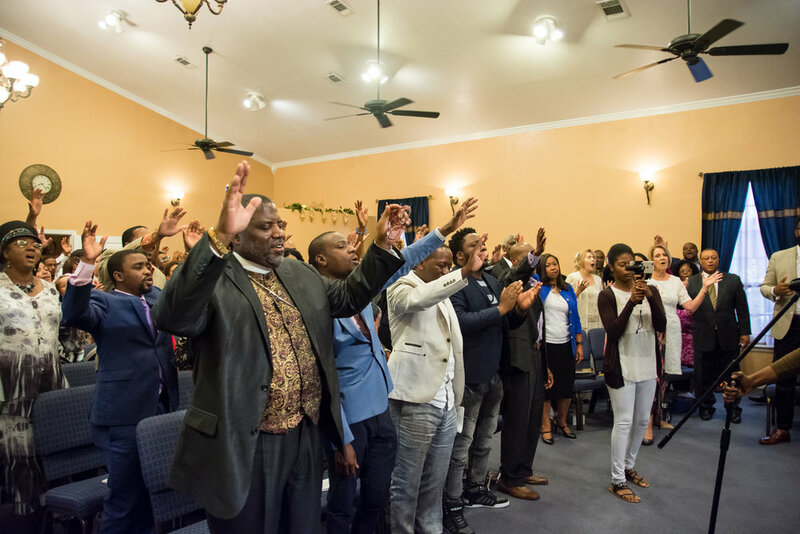 Souls from every nation will receive salvation, deliverance and healing In the name of Jesus. Holiness, righteousness, prayer, praise and worship towards almighty God will become a lifestyle for all believers. Instruct every believer in the word of God. Our foundation will be the doctrines and teachings of Jesus Christ and his Apostles and our strategy will be warmth through fellowship, depth through discipleship, strength through worship, breath through ministry and growth through evangelism. His glory will be manifested in the life of every Believer. 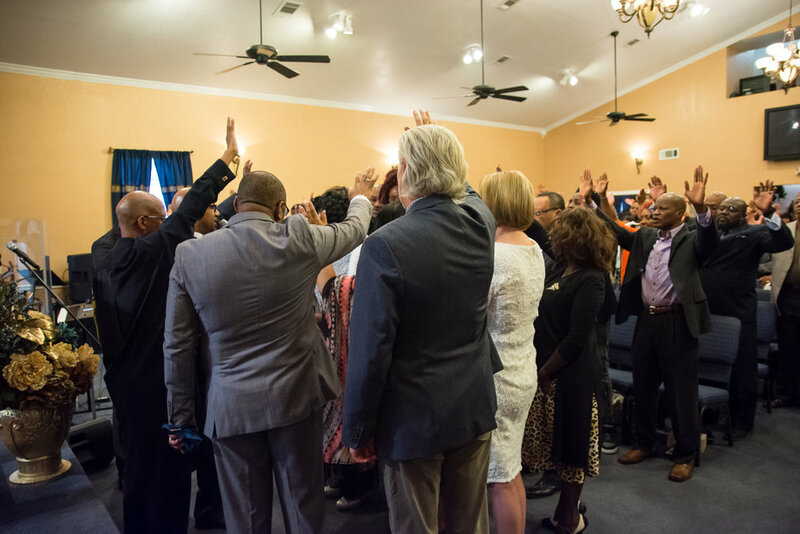 Shiloh Ministries operates in the ministry of Reconciliation and Restoration in Central Texas and the surrounding areas, ministering to all nations and all social groups. It is our belief at Shiloh Ministries, that God, the further of us all, through His son Jesus Christ, Sent redemption to the world; for we was a people without a hope, because of sin. “…God so loved the world, that he gave his only begotten son, that whosoever believeth in him should not perish, but have everlasting life. For God sent not his son into the world to condemn the world; but that the world through him might be saved” (John 3:16-17). God has promised so much to his people and clearly came to bring good news of this great salvation given unto us through His Son. So many of us are ignorant of this hope. This is an exciting time for the body of Christ for it is now time to covenant with God for revival/change. We recognize that people are hungry for the truth and want to be in the presence of the Lord, for “in His presence is fullness of Joy; at His right hand there are pleasures forevermore” (Psalm 16:11). Shiloh is where the tabernacle of the Lord is set up (read Joshua 18:1). When you partake of this God ordained ministry you will have an encounter with Jesus Christ that will be transforming, life changing. God’s presence is in our midst. In your experience you will find REST. For so long the enemy has been seeking to destroy us and steel our destiny in the Lord. You will discover that when you surrender all to God that you will rest from the labor of this life and come to know that God has every thing in control (Heb 4:10-11). The exciting part is that you will begin to enjoy your earthly existence and experience a refreshing in your life. Secondly, you will experience ABUNDANCE. Your life will not be the same again. You will abound in grace, faith, morals, hope, joy, righteousness, thanks giving, truth, wisdom, knowledge, understanding, spiritual gifts, ministry, power, physical health and material benefits – complete deliverance in every area of your life. The anointing of the Lord is able to minister to the needs of the meek, bind up the broken hearted, liberate those held captive to the cares of life and/or to the enemy and open the prison to them that are bound, spiritually, mentally, emotionally or physically (Isaiah 60:1-2). It is time for us to live like the child of a king and access our kingdom privileges obtainable through Christ. Finally, you will find PEACE. There will be a harmonious relationship between you and God that will come through the Word (Act 10:36). Reconciliation with God will bring a wholeness, contentment and freedom that cannot be experienced outside of a intimate relationship with Him. It is at that point that you will begin to develop the characteristics of Jesus Christ, which is our ultimate aim. At Shiloh it is a R.A.P. We have dedicated our lives to the Ministry of Jesus Christ “For in him we live, and move and have our very being…” (Act 17:28). This is a ministry of EXCELLENCE and we recognize that we are servants of the Lord ministering to the Lord and to ‘His great people’ (1 Kings 3:9). For many reasons we have being living below God’s expectation s for our lives. It is no longer time to live as defeated people. If you are a Christian come expecting to labor in the vineyard, for the harvest of souls is plentiful. If you are un-churched come expecting a radical change in your life, your search for a church family is over. Through the power of the Holy Spirit your life can be transformed and you will be born again, a new beginning is yours in Jesus Name.